So… we’ve all heard a lot about the health benefits of work in recently, haven’t we? As Rehabilitation Professionals, this isn’t new information to us. 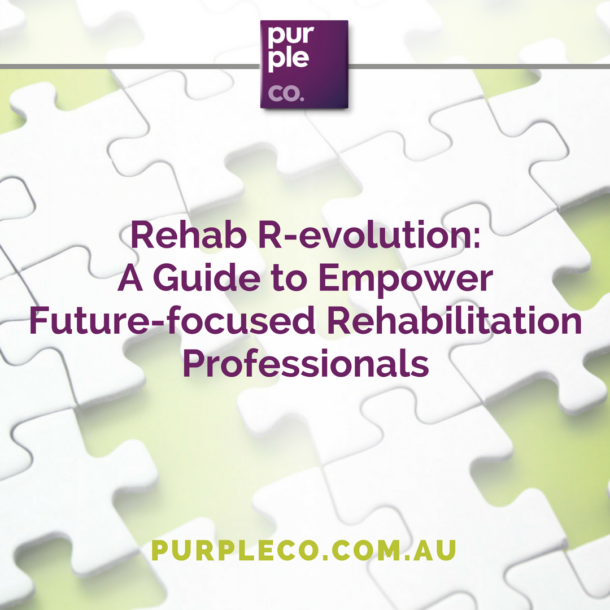 We’re all about helping our clients utilise good work as a tool to improved function and recovery. But… we all know that the “health benefits of work” isn’t exactly an easy thing to implement. It does require a big change to get everyone on board with this new mindset and to actually implement it in a meaningful way that results in better outcomes for our clients and, most importantly, engagement in good, rewarding and gainful work. Basically, there are a lot of barriers to making the health benefits of work a reality in this space. So I thought I would put my Rehab Counsellor hat on and explore this issue a little further with a SWOT analysis. I use this tool frequently with my mentoring and rehabilitation clients who are on the precipice of making a big change. As you can see, implementing the health benefits as work isn’t as easy as just talking about the evidence and hoping that our clients (and the other people in their lives) cotton on. The health benefits of work is truly at the heart of what we do – but what needs to change to make it a reality? Your thoughts – are there any bullet points you think we need to add above?